Danny Trejo has starred in hundreds of memorable films such as Heat, Con Air, Desperado, Machete, and Spy Kids. 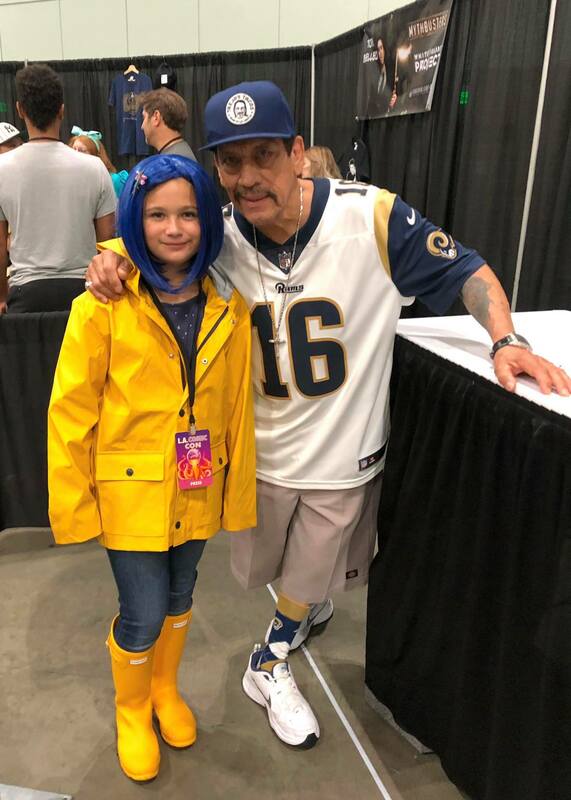 My daughter Elli (cosplaying as Coraline) caught up with the beloved actor at Los Angeles Comic Con and asked him how he got into the Entertainment Industry and what appeals to him as an actor. Thanks Danny for taking the time to chat with us. Besides being big fans, we love your tacos!